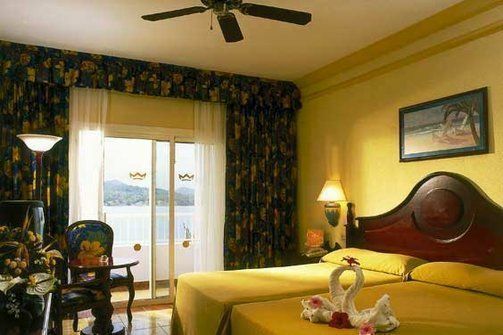 Spacious rooms at the Riu Bachata, which comfortably sleep a family of four. Pool at the Riu Bachata resort, one of several on the property. The Riu resorts are in a beautiful location on the Bay of Mamon. Cheap all-inclusive resorts became really popular when the recession started to take its toll on the economy, so Family Travel Forum selected our award-winning Top 10 (Cheap) Getaways For Family Travelers. Finding the best bang for our reader’s buck was difficult, and it took months of time and research to make sure we got it right. In the end, the winner of our All-Inclusive family beach vacation category was the Divi Resorts’ Tamarijn Aruba; but, along the way, we found some other great tropical resorts that might be the perfect match for a cheap all-inclusive Caribbean vacation. It’s no wonder that they’re in Dominican Republic, always a top value beach getaway on the island of Hispaniola. So, check out our second and third runners-up, the ClubHotel Riu Merengue and the ClubHotel Riu Bachata, both located in Puerto Plata. 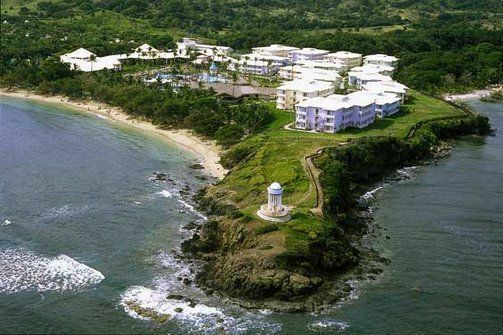 Puerto Plata is one of the oldest of the DR’s resort areas, and is a favorite of many return visitors for its authentic Latin feel. This beach also attracts surfers and windsurfers to its breezy coast. Located five miles from Puerto Plata, on the north coast of the Dominican Republic, the ClubHotel Riu Bachata overlooks the lush tropical mountains and coastline of the Bahia of Maimón. A great place to spend time lounging and relaxing in the warm Caribbean sun, this resort is certainly a best bet for an all-inclusive family beach vacation. This resort has been so popular that the company added the ClubHotel Riu Merengue (both of these are names of popular dances) almost next door. Visitors also can’t help notice the large Amber Cove development built by Carnival Cruise Lines around the next cove. It now accommodates their ships, and has many Duty Free shops, cafes and large swimming pool complex for guests. We like these resorts because the rates are not exorbitant and children ages 2-12 stay free. When FTF did our initial research, a four-night stay in January of 2009 at the Riu Bachata cost just $680. And now, summer 2016 rates start at a mere $448 for a four-night stay at the newer Riu Merengue — or $504 if you select the Riu Bachata. Also note that while one can combine airfare with the nightly rates when booking with Riu, it may be more cost-effective to book the two separately. And, of course, everything is included. The food choices are plentiful at both resorts, as a continental breakfast is offered along with an American breakfast buffet. Other buffets are offered throughout the day for lunch and dinner and longer, so that there is food available to satisfy any whim 24 hours a day. 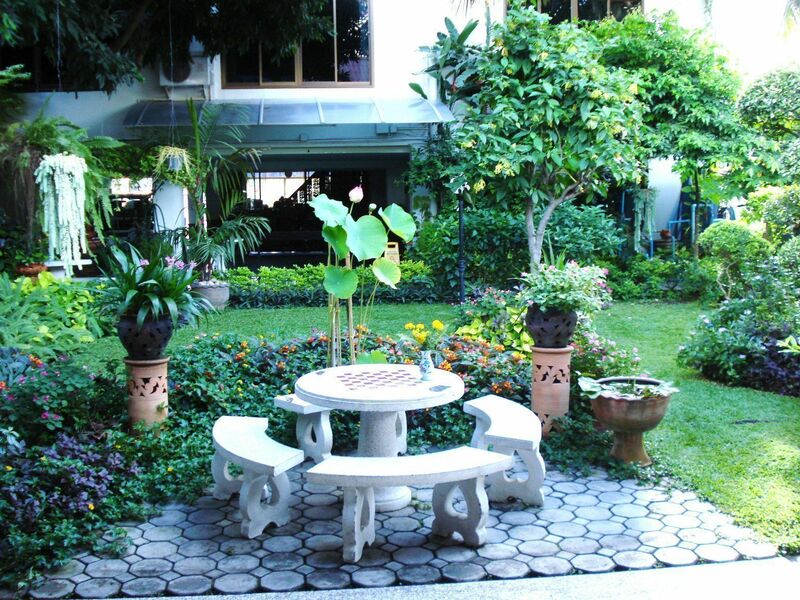 There are two a la carte restaurants on the premises, but reservations are required in advance. Remember that if you are with the kids, they would probably prefer to dine at the buffet style restaurants overlooking the Bay, where breezes blow continuously. There are on the spot cooking stations so the little ones can watch their food being prepared before their very eyes, and there are even themed culinary nights twice weekly. Check the schedule upon arrival. 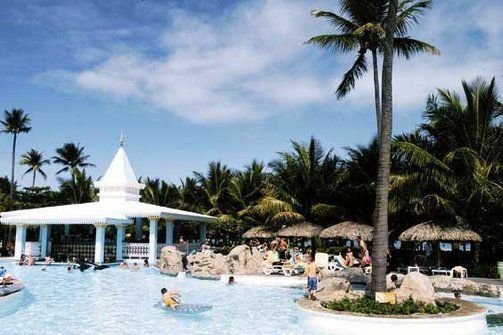 Speaking of schedules, a ton of recreational activities can also be found at the Riu Merengue or the Riu Bachata. Included in the all-inclusive package, families can take part in tennis (or table tennis), volleyball, or billiards. Also, windsurfing and snorkeling are available for those wanting to explore the waters. And one introductory scuba diving lesson is included as well. If your teens are getting restless, send them to the open air lobbies to use the free WiFi. Kids ages 4- to12-years-old will love to spend their days with the RiuLand Kids Club for organized activities. If not, they can hang in the Children’s Swimming Pool, although adults may prefer to spend their days by the two other main pools. Finally, end the day by unwinding in one of the large, bungalow-style guestrooms, which are comfortably furnished, have refreshing A/C and ceiling fans. Check out their websites to see what kind of resort deal you can find today. I already know Puerto Plata, I visited it last year when some friends and I went to pick my big brother up at charlisangels Caribbean vacations, he was spending an single vacations there. I have to admit this city has beautiful places.